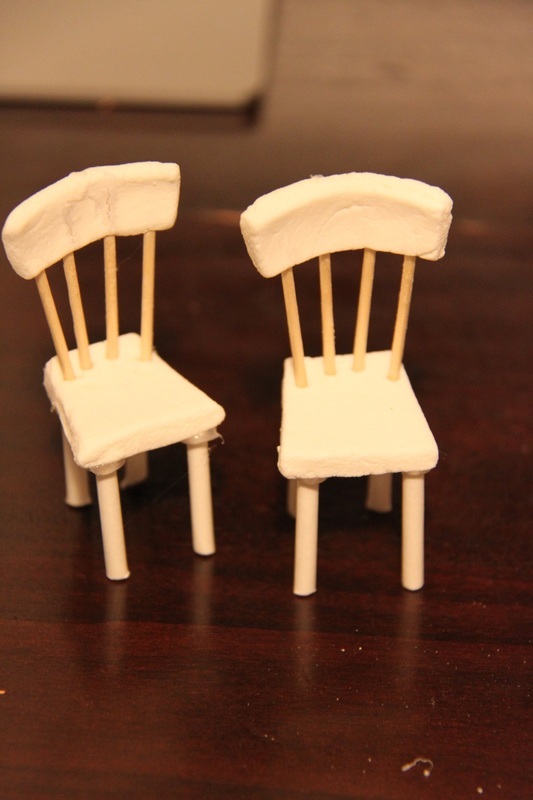 Upset with dollhouse furniture deliveries, I ended up making my own chairs for the kitchen. It's much easier than you think. Have a try! 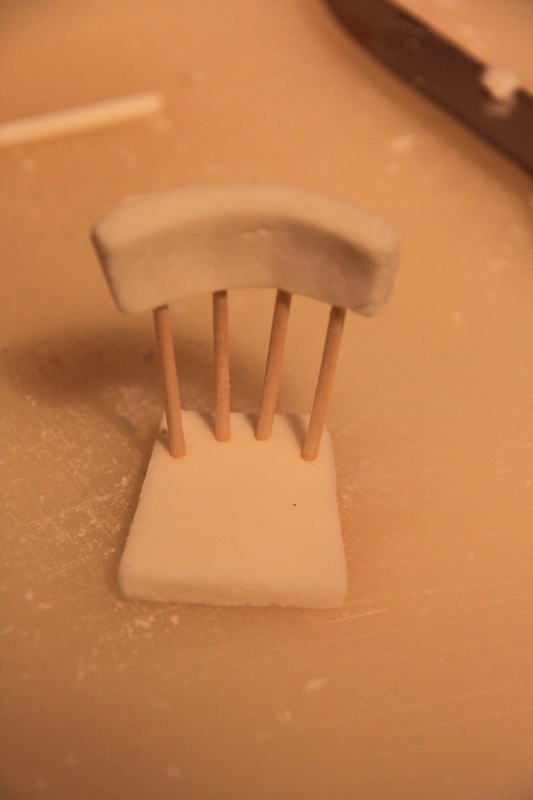 You prepare your white clay, and you cut 4 lolli stick pieces for legs and 4 toothpicks for back support. 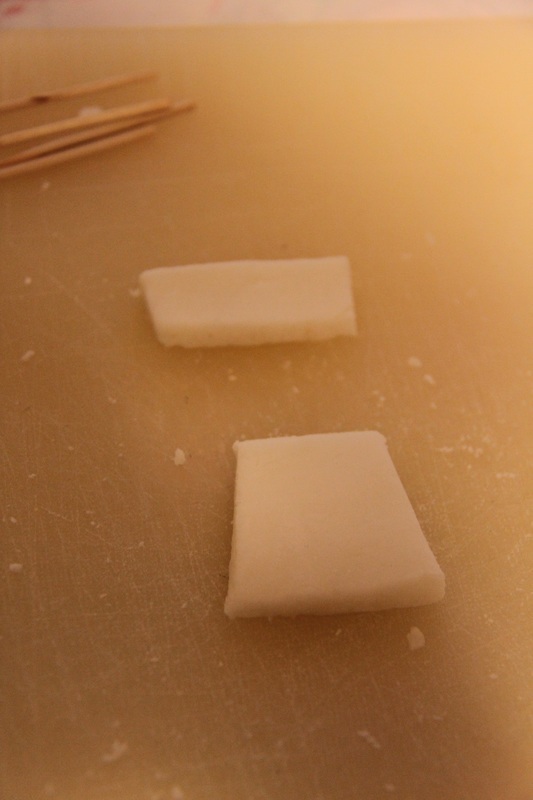 Roll the clay and cut two pieces as shown below. 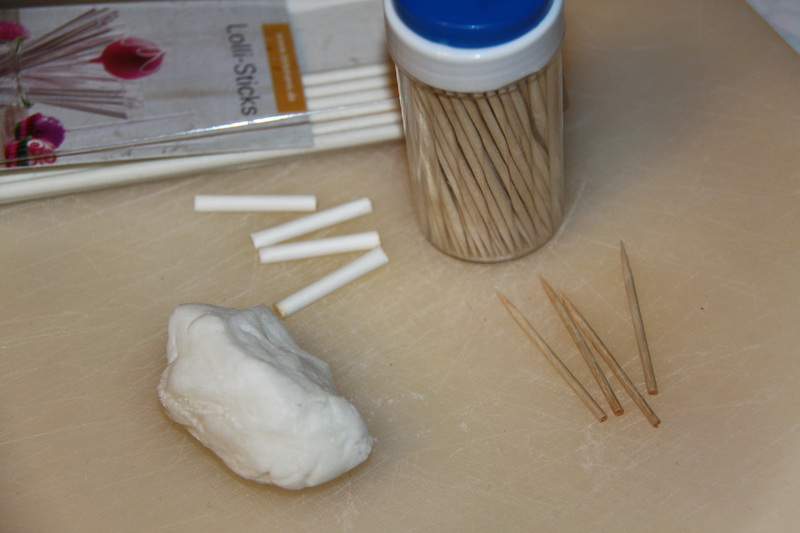 connect with the toothpicks. The size of your pieces and the height of the chair depends on the size of your dollhouse - so do keep around a doll for testing purposes. 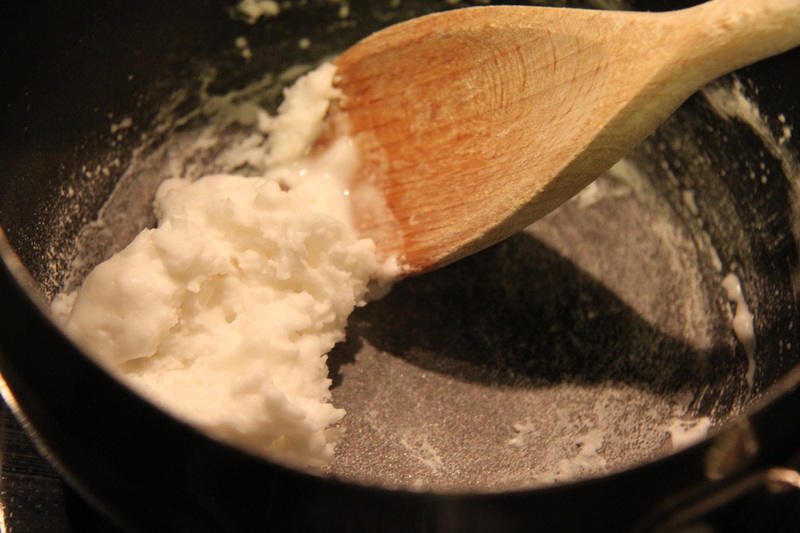 Once connected, you should leave your white clay to air dry, preferably overnight. If you dry it at a high temperature, it will probably crack (which happened to mine). 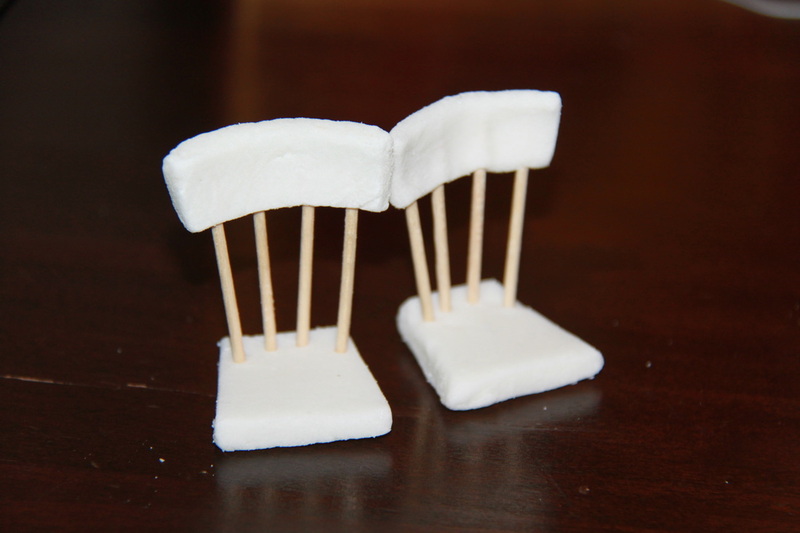 When your chairs have hardened, hot glue some legs. Make sure the height matches your other furniture (table, cupboards) and the dolls. Now, paint with acrylic paint. As we established, white clay is not water resistant, so you would need a sealant. 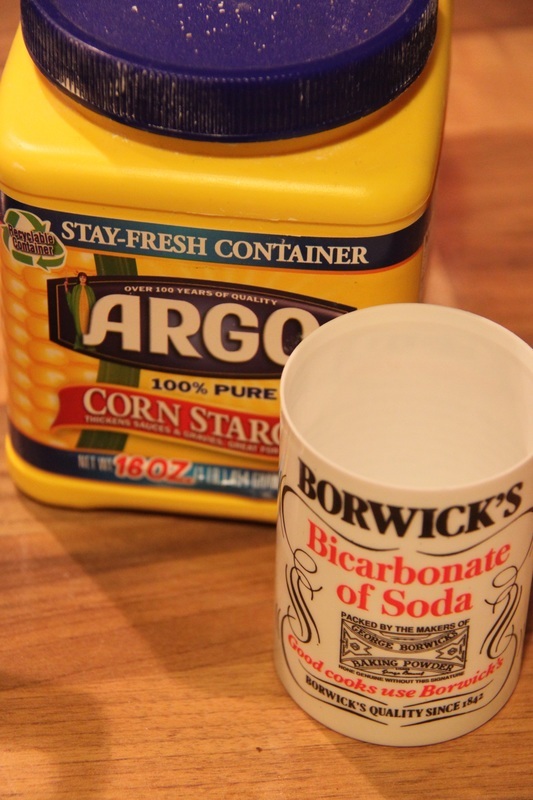 If you don't want to use acrylic paint, maybe you could try with modge podge. Now, that was easy, wasn't it? 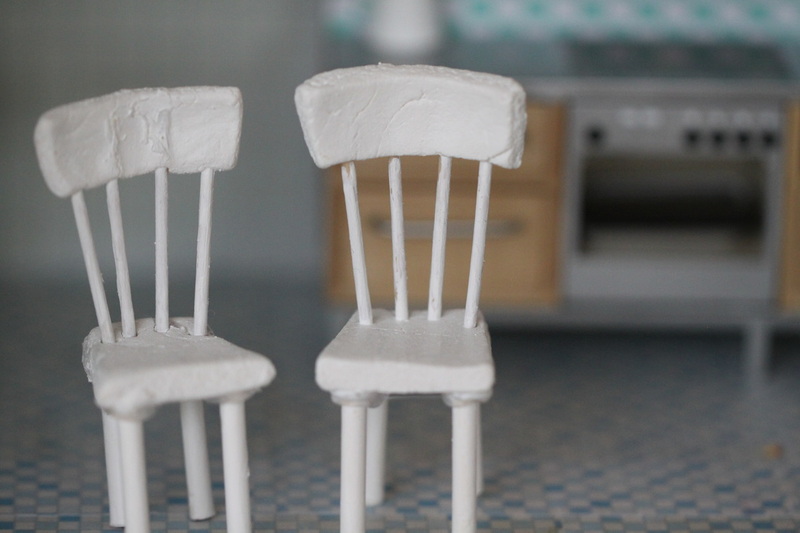 You have brand new chairs for your toy kitchen. Enjoy!